Unlike in the past, the industrial robot industry has evolved in the last few years. They are now readily available to match the growing demand. The modern day industrial robot arm is simple and convenient, and users can easily plug and play the gadget with ease. 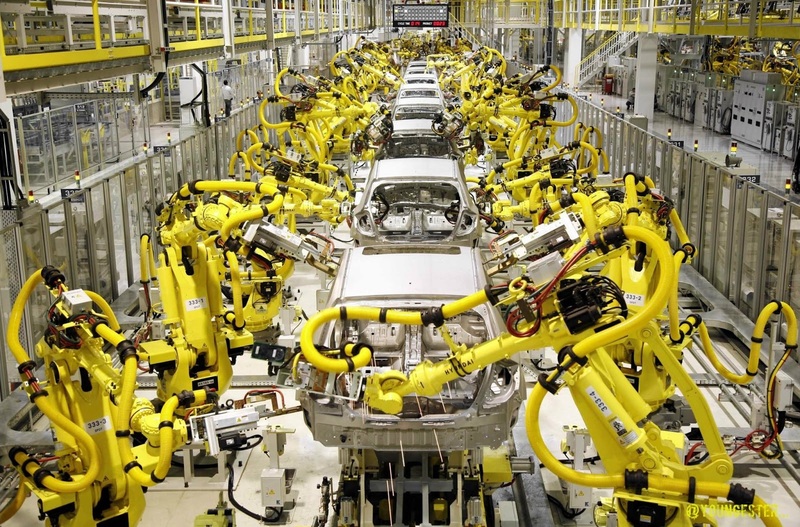 Robots have transformed the manufacturing industry when it comes to efficiency and productivity. Many robots in the market today are specially designed to transport materials, and execute different tasks according to the production settings. Robots come in handy to execute tasks that pose risks to humans. These include repetitive duties which turn out to be monotonous and easily distract the human worker into injuring themselves. Many manufacturing plants have incorporated robots in their operations in order to enhance the quality of their products. Robots perform tasks with increased precision and are efficient when it comes to repetitive tasks. Additionally, they are more reliable and fast in comparison to humans. As technological evolutions advance, robots are getting upgraded in order to advance their reliability and promote safety within the work area. Incorporating Robots in your Workspace? Many manufacturing plants especially startups and small sized companies are not able to integrate robots in their work areas. According to them, the upfront cost and subsequent maintenance needs may increase the long term cost. What they do not realize is that manufacturing robots are high performance gadgets, capable of enhancing the return on investment on a long term basis. One of the most common industrial robot applications has to be material handling. A big percent of robots are used to execute this task. Collaborative robots were recently introduced in the market and they come at an affordable price when compared to the industrial robots. This means that the manufacturing plants are set to develop at a tremendous rate. Collaborative robots are light meaning that they will not be confined to one place like the industrial robots. What’s more, they can easily collaborate with humans in the same workplace and no security barriers are required. All this has been made possible by the advancements in the vision and sensor computing power and technology. The robot can sense human interference and stop operations which help abate injuries. Robots are also used for welding applications which include arc welding and spot welding. Small sized manufacturers are increasingly integrating welding robots in their operations. This has been necessitated by the fact that the price of welding robots is dropping significantly which makes automating welding procedures an easy task. These robots can be operated via machine vision guidance or preprogramming. Welding robots have played a major role in helping manufacturers enhance repeatability, precision, and production. Welding robots allow for speed, reach, efficiency, load capacity, and boosts functionality for all sizes and shapes of welding parts. They are specially designed to handle a wide variety of intellectual functions which include, evading collision, and responsive robotic vision. Assembly robots used in the manufacturing industry execute various tasks such as, inserting, press-fitting, fixing, and disassembling. However, assembly applications are facing extinction due to the emergence of various other technologies that have more impact on the robots. In terms of assembling parts together, assembly robots operate with more precision and speed than humans. Assembly robots are easy to configure minimal risk gadgets that meet manufacturing demands, finance, and quality. They can be fitted with force sensing and vision structures. The former aids part assembly activities while the latter directs the robot into rotating and transporting a part so as to fit it with another part, and picking elements from a conveyor. Manufacturing robots are today reasonably priced. As technology advances, the future of these robots seems bright. Many small sized and start up manufacturing plants will easily integrate them in their operations in the near future.